Mega Music are an Authorised Sonor SQ2 Dealer. Rhythm is part of our daily life. It is the pulse that drives us, the steady beat that provides vitality and motion. Percussion instruments are basic elements of our music culture. The history of SONOR mirrors the excitement of historical and entrepreneurial challenges, in the same way that rhythm is linked to musical creativity and complexity. But throughout all the decades of SONOR history there remains one underlying theme: an uncompromising commitment to quality and dedicated craftmanship. Though latest technology has found its entry into SONOR production methods, the secret of the SONOR sound remains. It lies in the meticulous attention to even the smallest detail and the commitment of its founder to always maintain the highest possible level of quality. 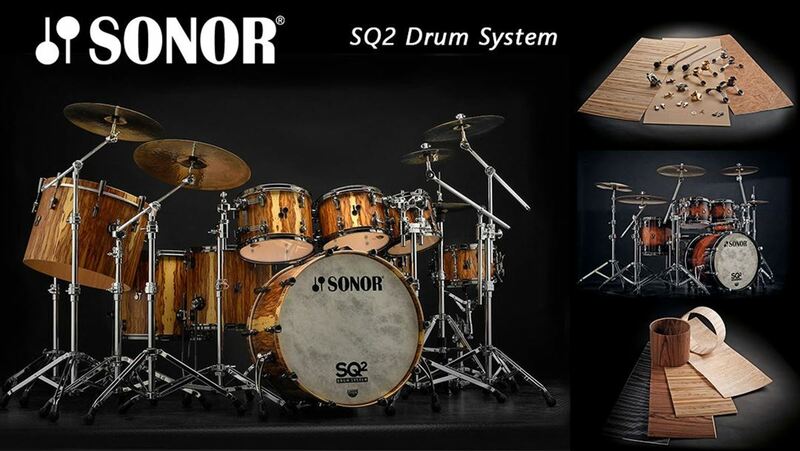 The SQ² Drum System represents SONOR’s extensive know-how in drum making and sound design. Building upon more than 140 years of manufacturing experience this range of custom instruments offers the ultimate in SONOR craftsmanship. It is the flagship within the SONOR Drum program. With an almost unlimited variety of shell - size - finish combinations SQ² is the most individual Drum we have ever made in our history and the most unique one you have ever dreamed of playing. It will let you speak with your personal musical voice. It is your signature in sound. Watch "Sonor Presents: Benny Greb - The Journey"